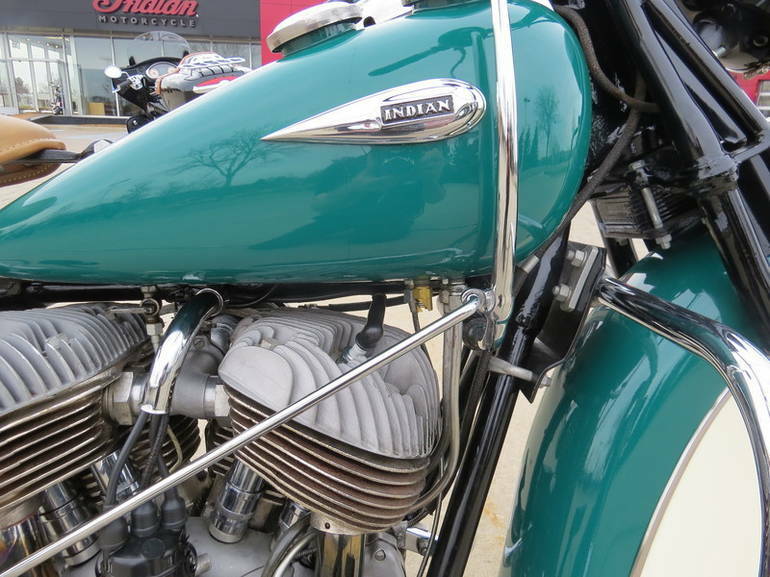 1940 Indian Chief, The 1940 Indian Chief was an important motorcycle for Indian. 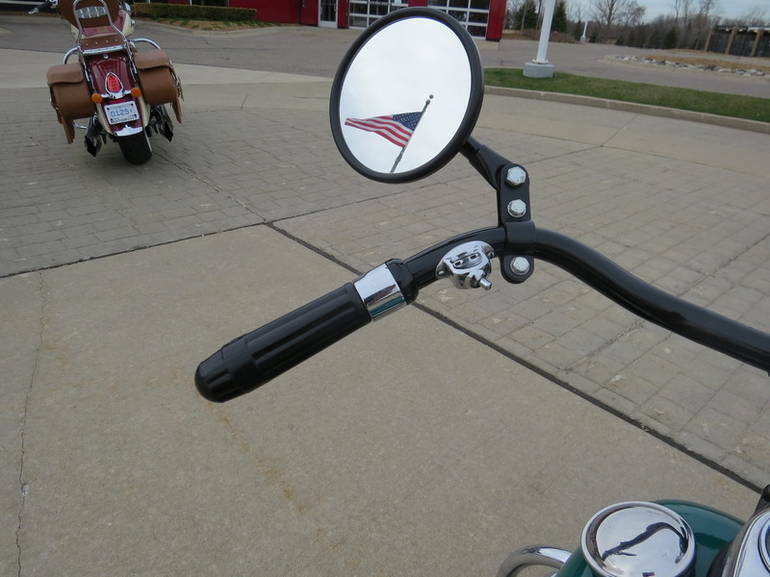 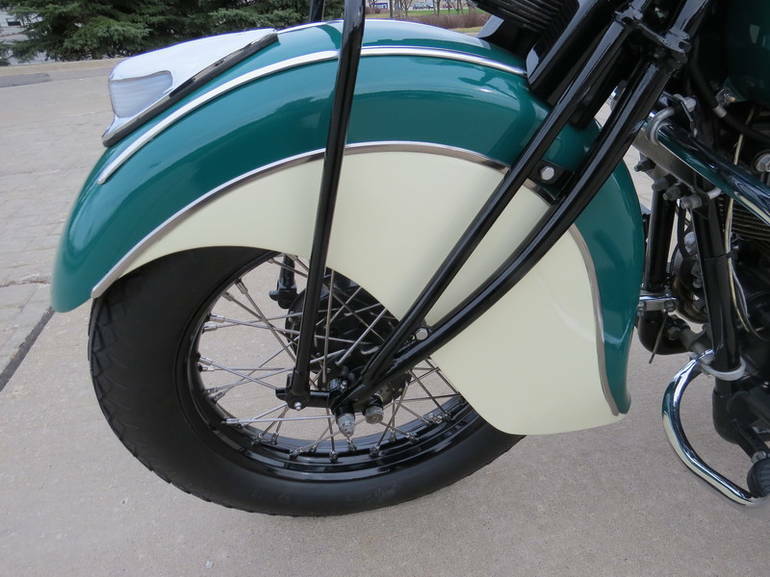 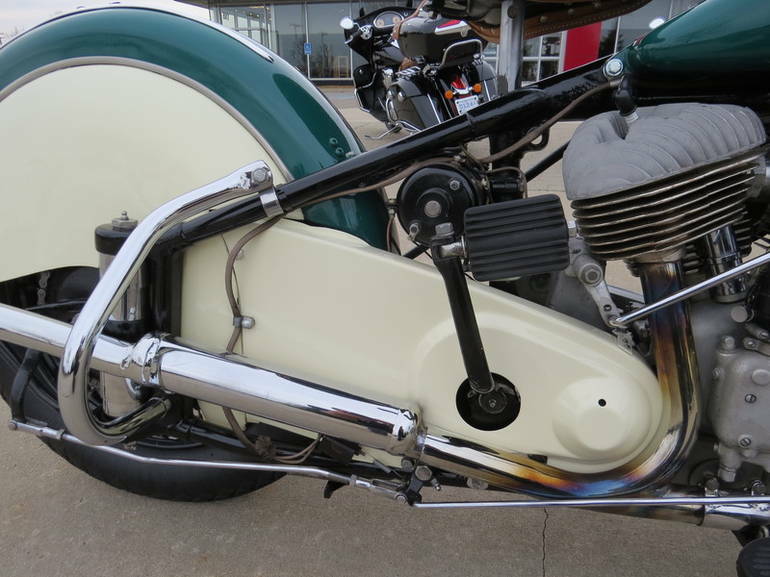 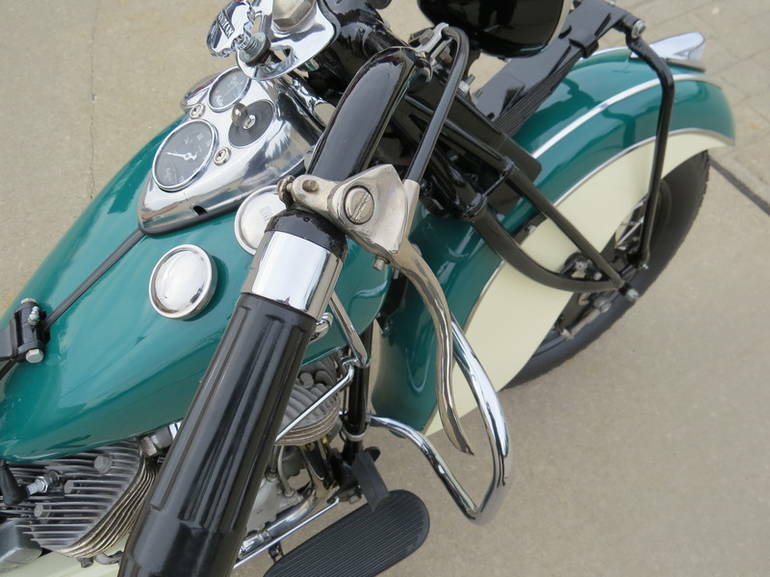 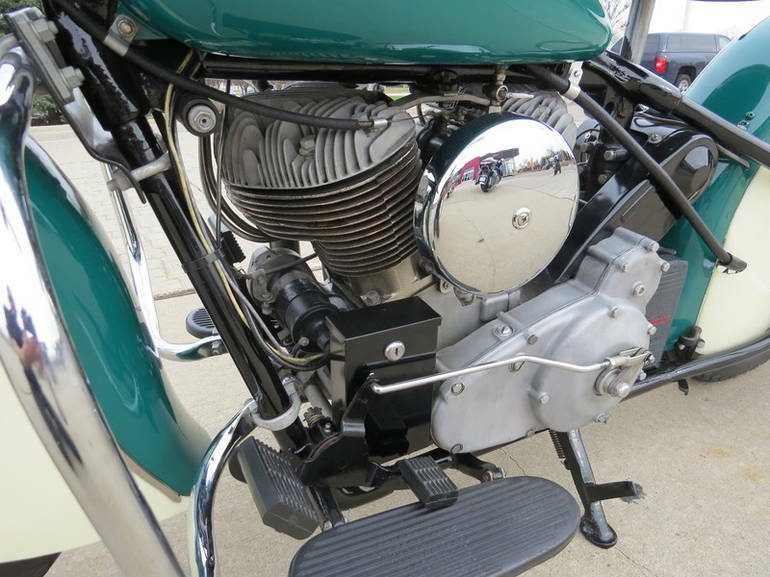 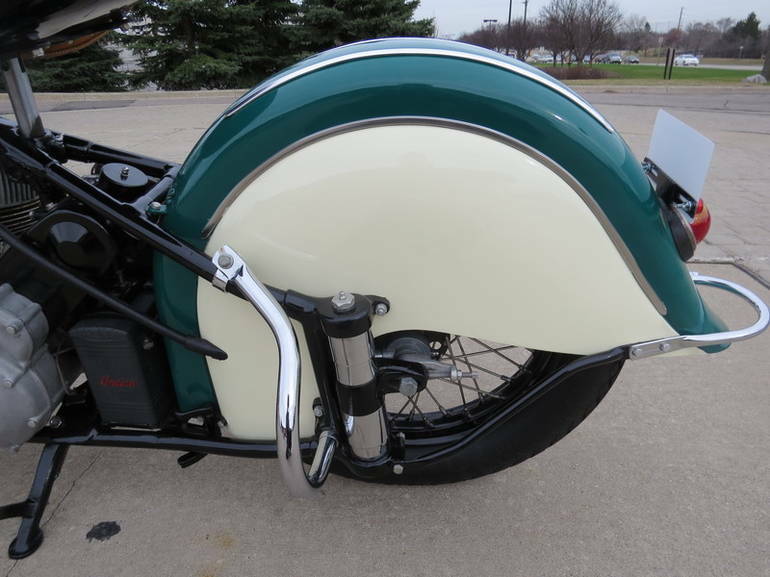 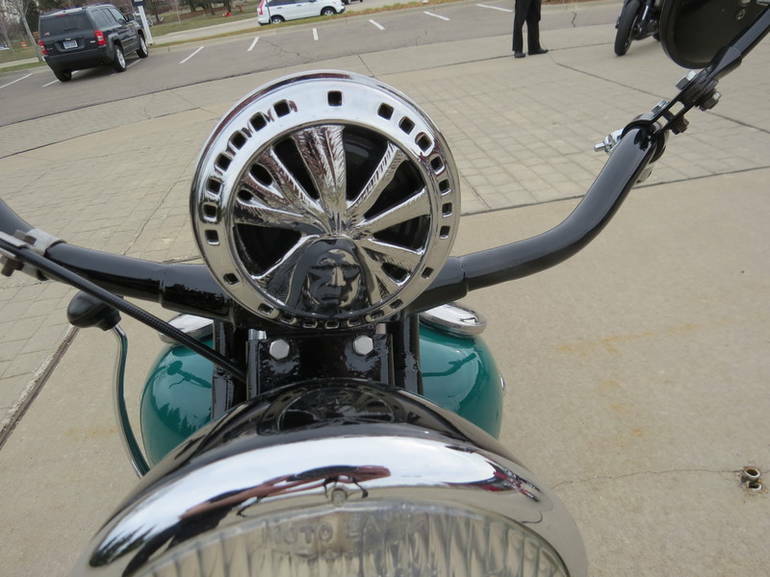 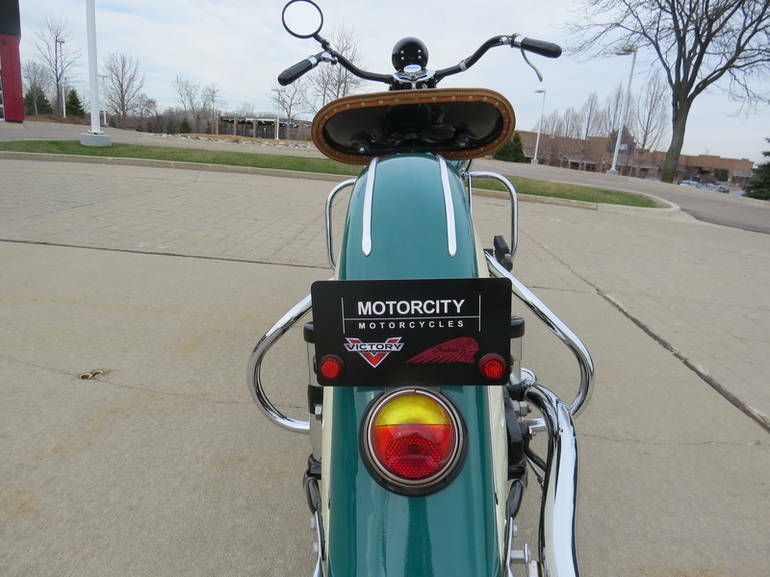 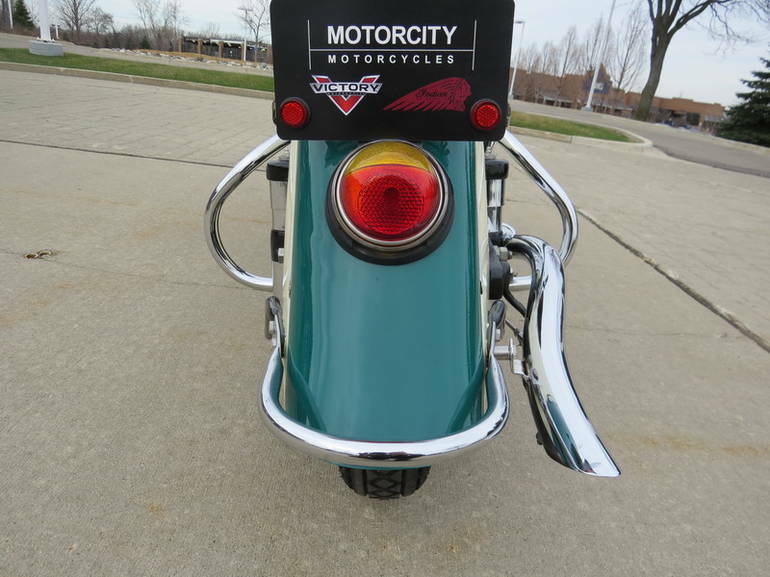 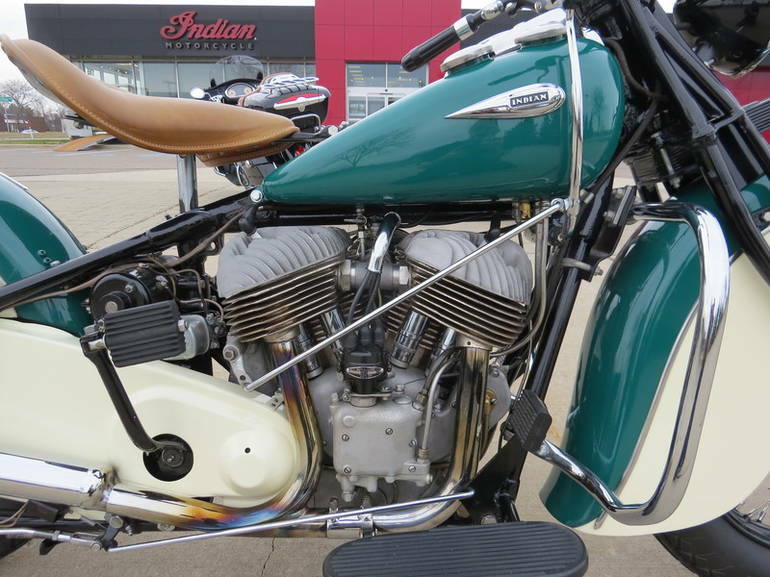 It was the first Indian to introduce the trademark skirted fenders and rear suspension. 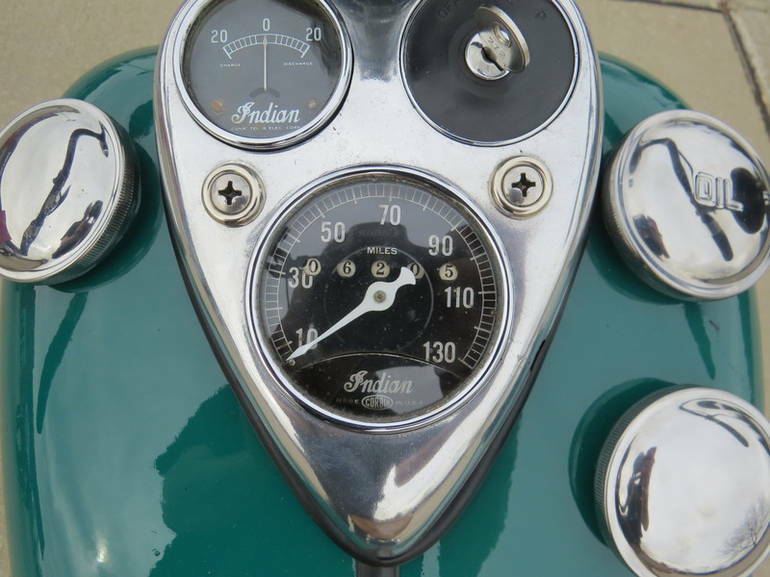 Additionally, 1940 & 1941 were the only years to have the 130mph speedo and 18" optional wheels. 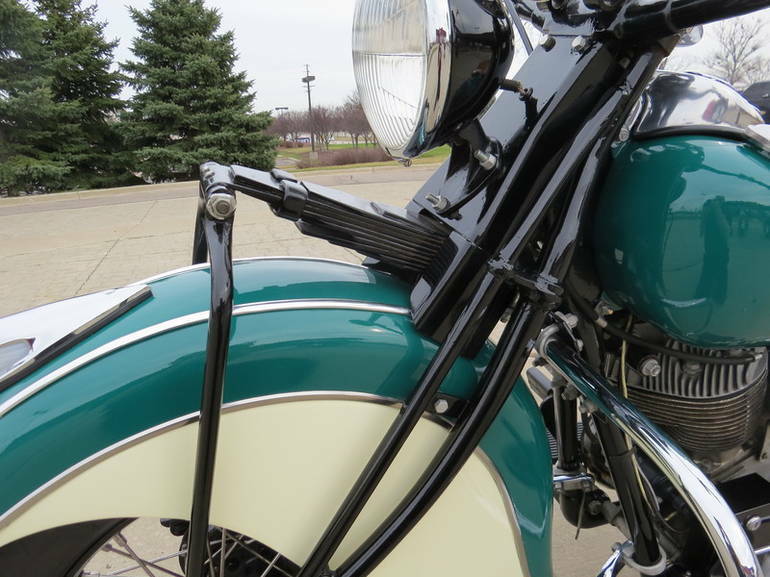 This 40 Chief is a older restoration and was featured in the "Sensuous Steel Art Deco Automobiles" display at the Frist center for the visual arts in Nashville Tennessee. 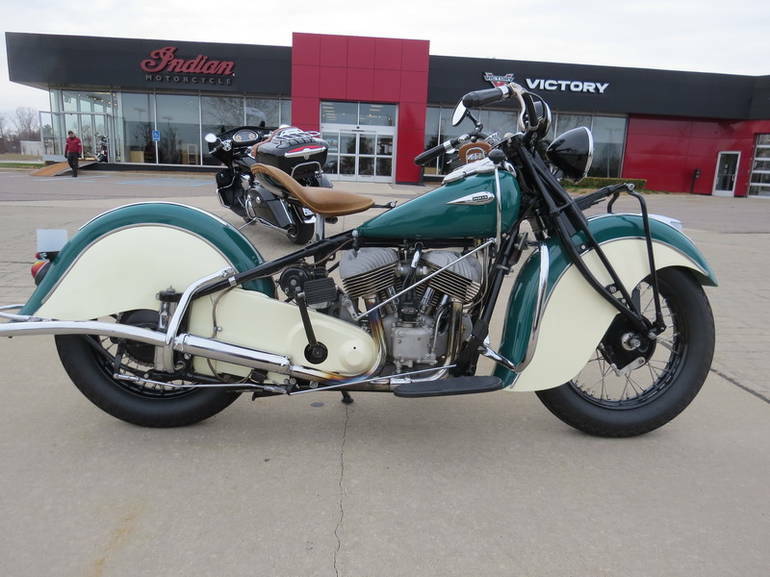 The bike will come with many notes and a coffee table book from the museum that features it. 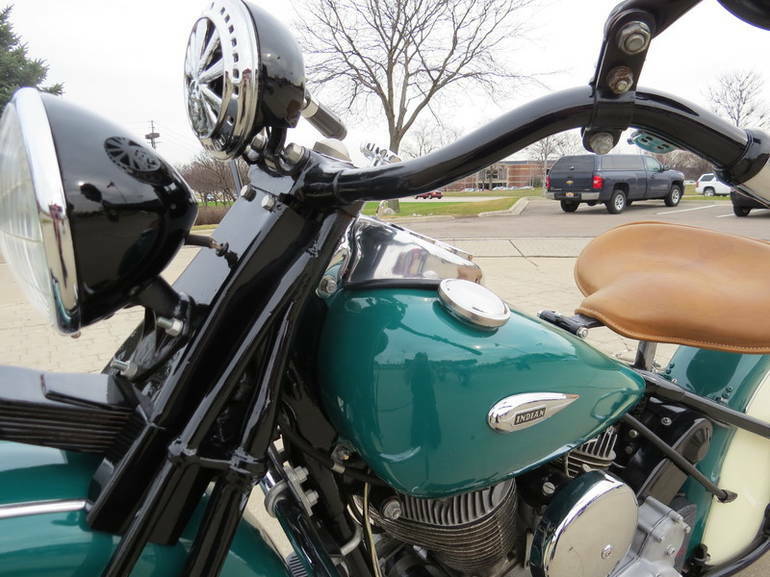 It has been fully serviced and is an excellent runner that was ridden frequently last year. 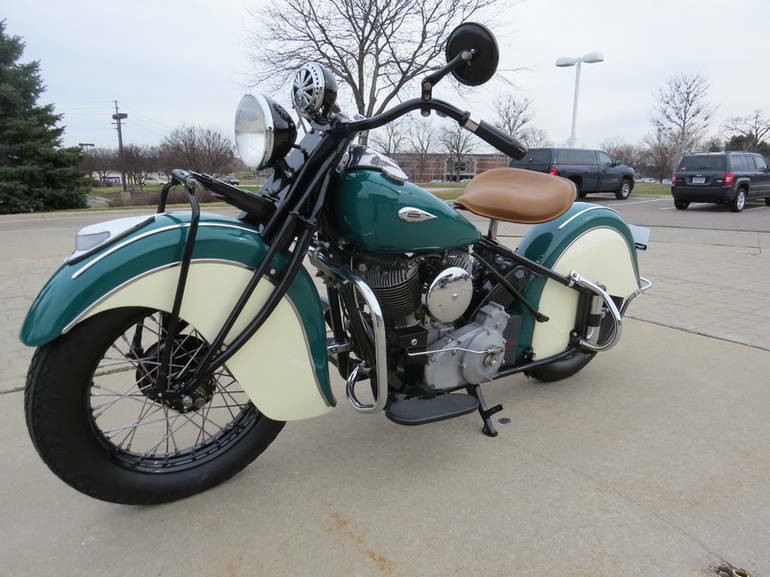 This Chief also features the "Bonneville" engine which was a factory performance upgrade over the standard Chief. 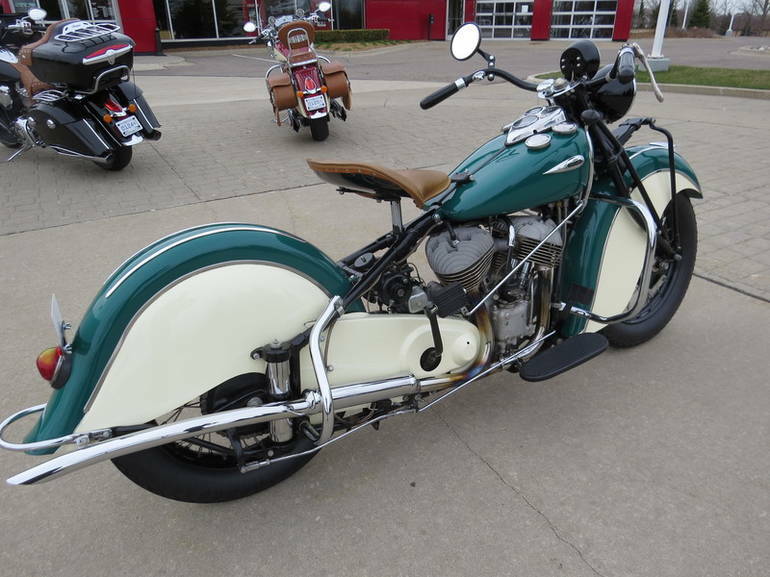 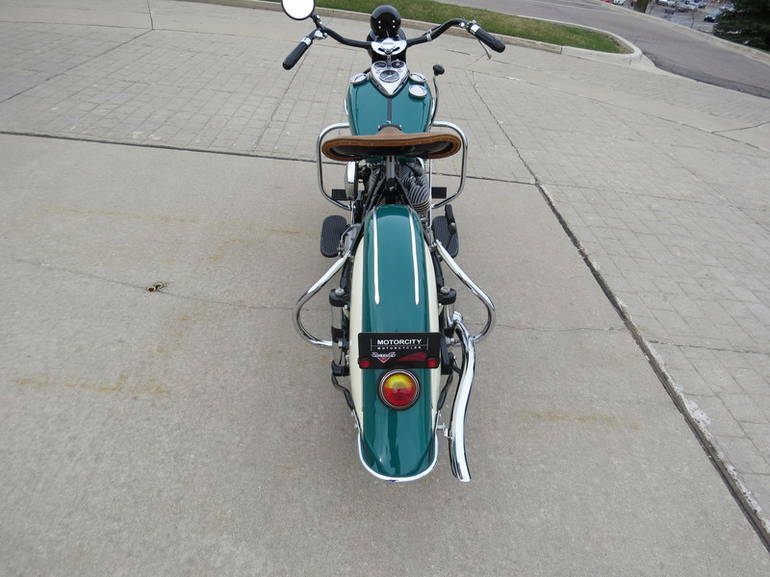 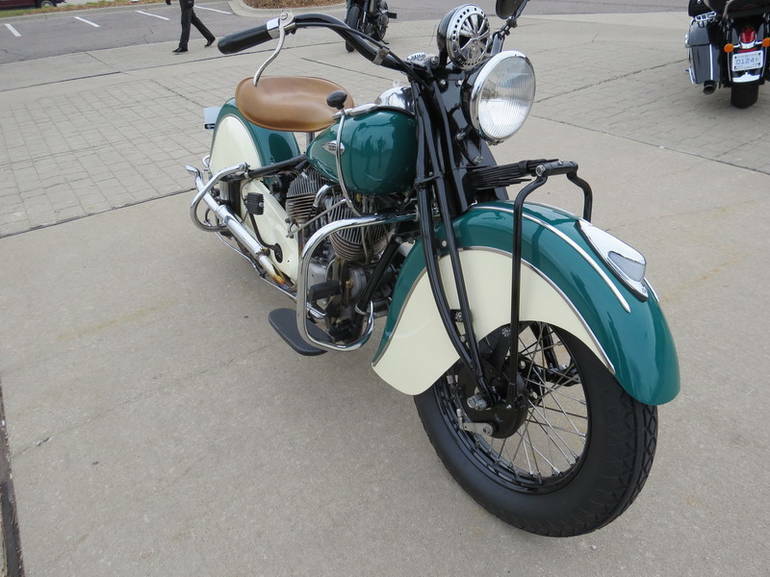 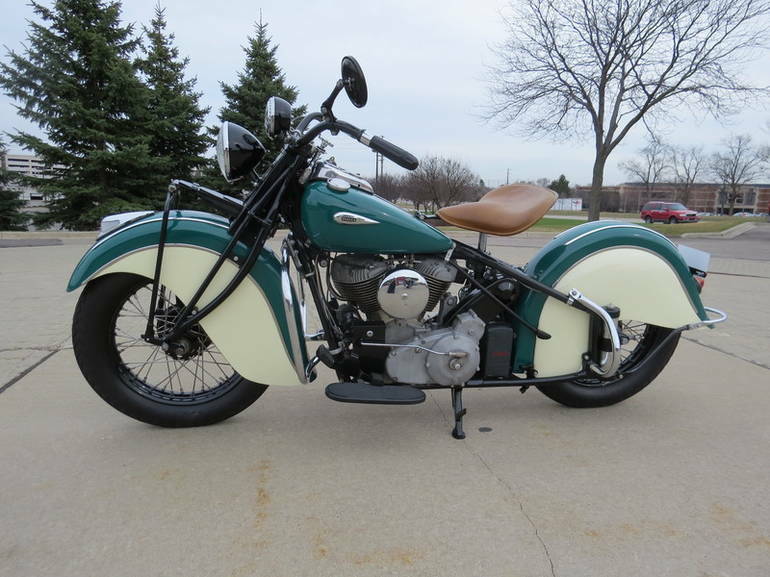 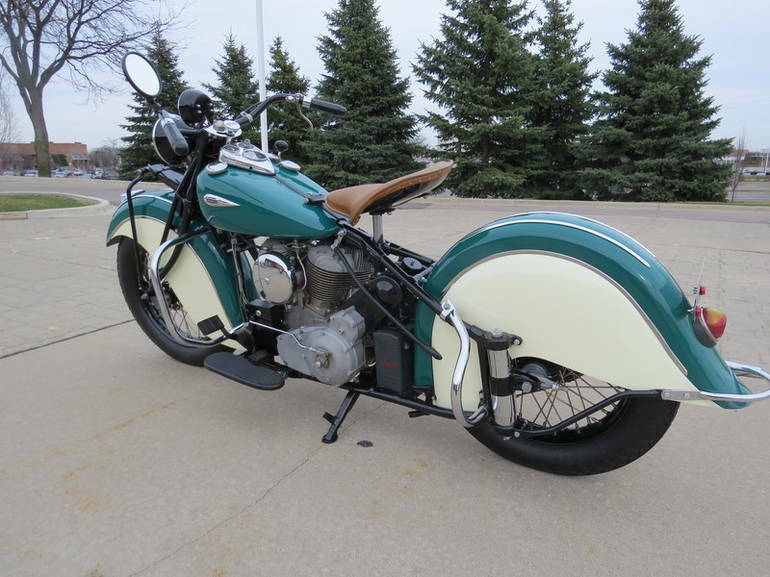 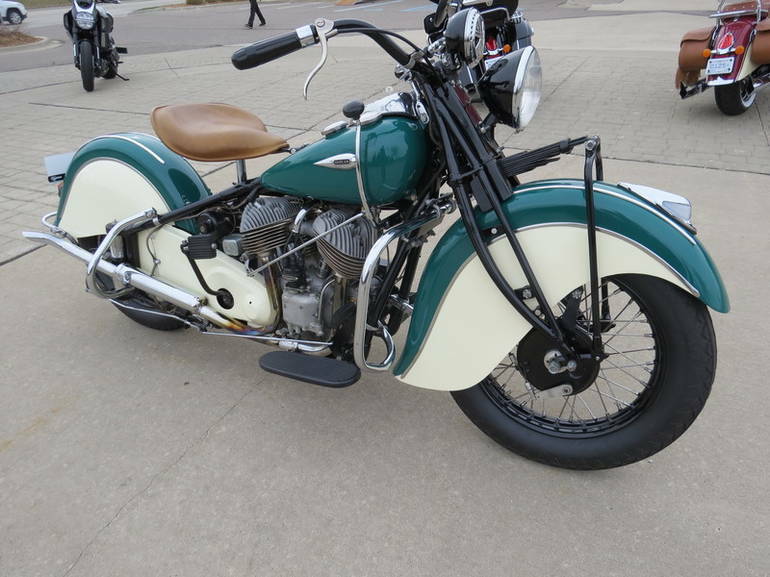 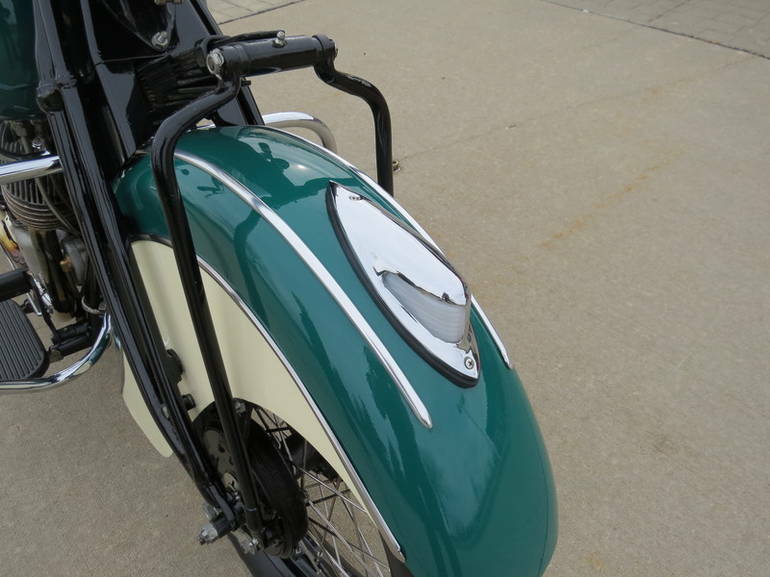 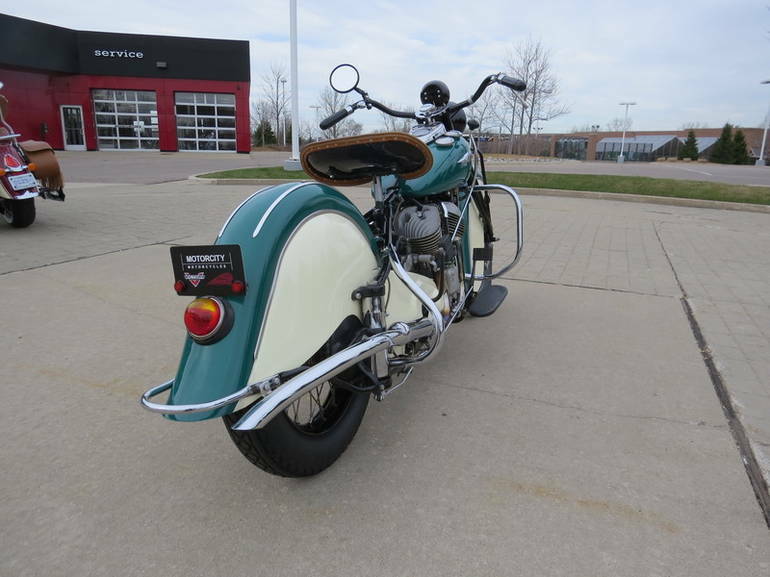 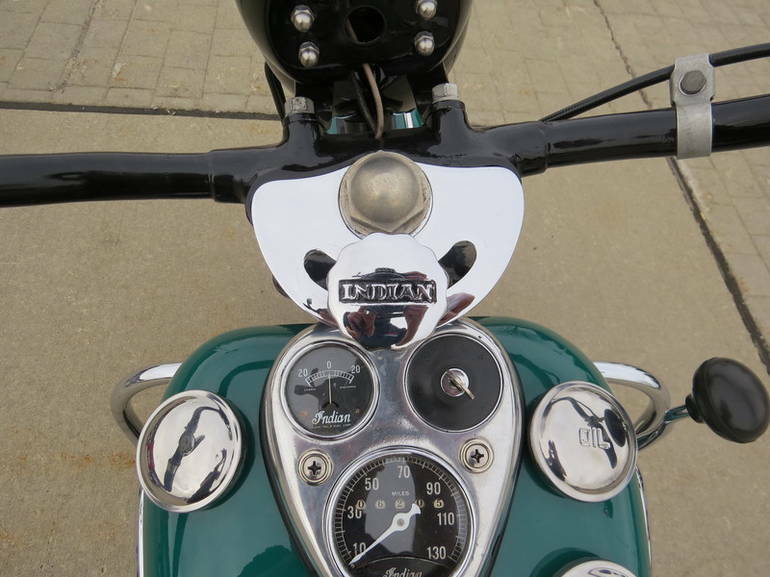 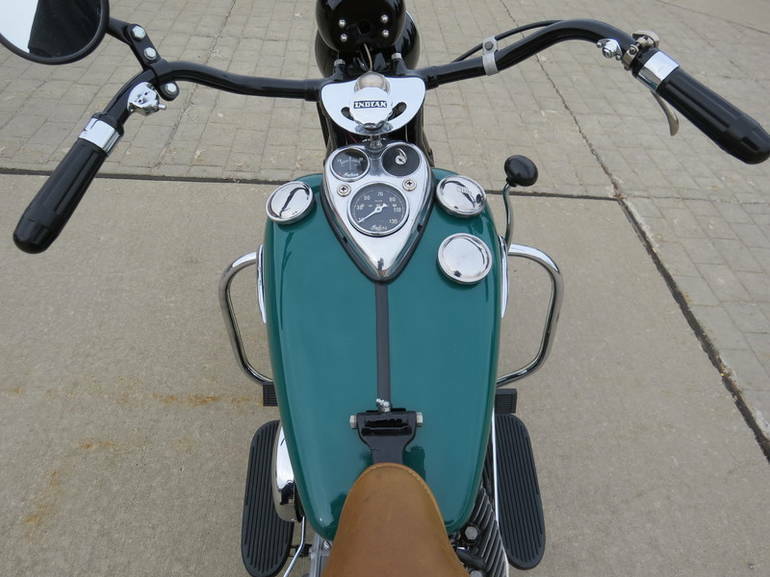 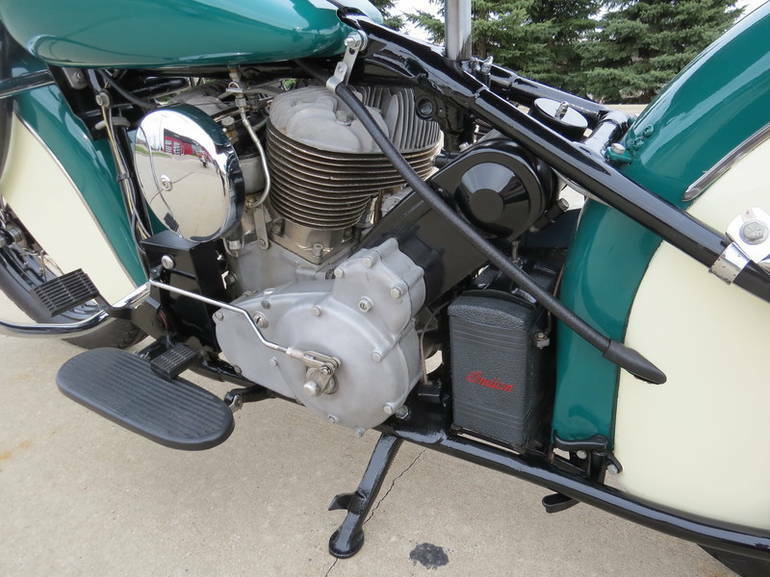 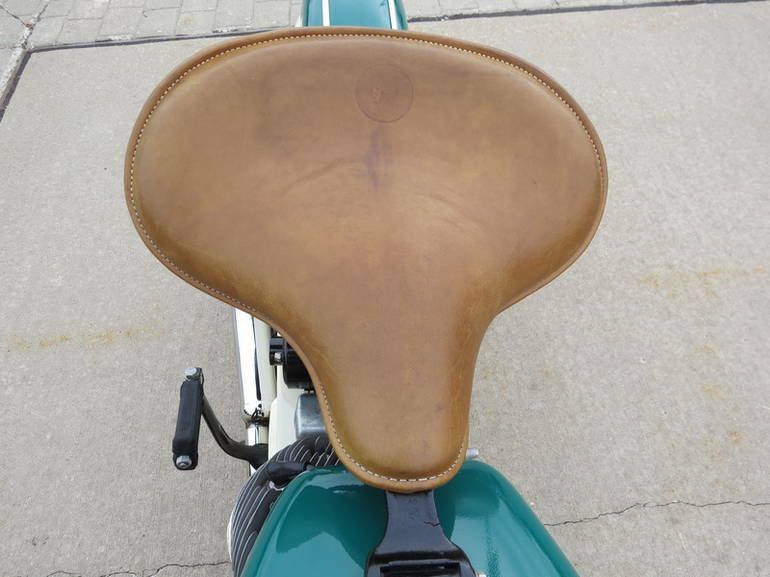 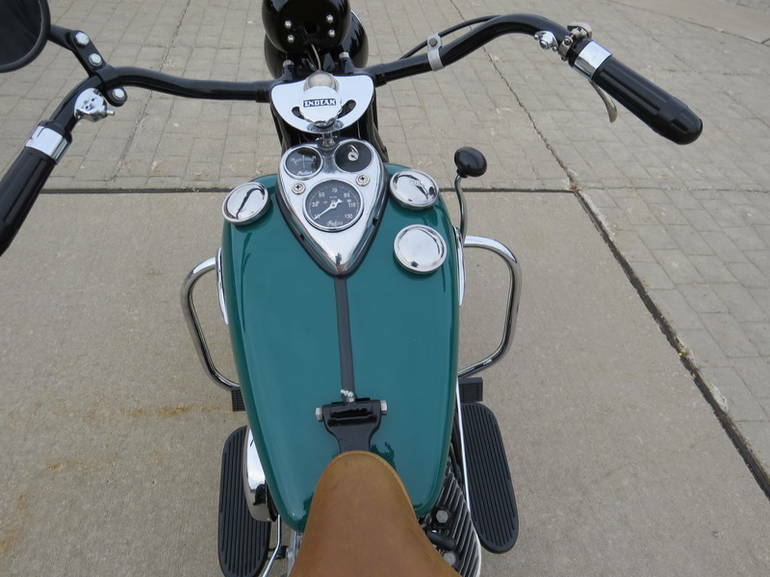 All Indian pictures are kind of Indian HD motorcycles picture was taken, including motor fuel gauge, engine, engine mounts, tires, fuel tank, the car handles, lights and so on, 1940 Indian Chief full-screen viewing,1940 Indian Motorcycles today Price: $40,000 .